Mr. SuGuanghua, is grandfather of Mr. Zhou Yi, one of the founding partners of Rayyin& Partners. Mr. Su was born in a scholarly family in West Street of Zhouzhuang in 1914 and was a clever and well-cultured boy then. He could have lived affluently and easily for his whole life if he wanted. But when China was facing imminent danger from the Japanese invaders during 1930s, Mr. Su was called by a strong sense of duty for the country, and chose to enroll in the newly formed Chinese Air Force. Whenever air raid siren alarmed, together with his brave fellows, Mr. Su rushed into his fighter immediately and fiercely fought against their formidable counterparts. The vast sky witnessed their unflinching determination to defeat the Japanese invaders. 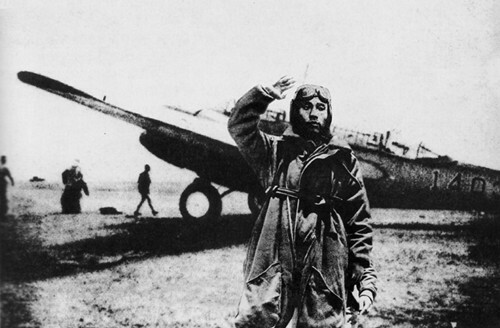 During the most difficult days of the war against Japanese invaders, the young Chinese Air Force always kept their high spirits even in adversities and fought hard against the seemingly formidable Japanese Air Force. Mr. Su was extremelybrave and made a great service. Because of his eminent performance,he was promoted to the second-grade staff officer of the Eighth Group of the Chinese Air Force. In November of 1940, Mr. Su was severely wounded in a battle to safeguard Chengdu City and died later on December 25, 1940. At the last moment of his life, he held tightly the hands of his beloved wife and baby girl but finally he closed his eyes. He was only 27 years old when he died. What a great sorrow, Su Guanghua! What a magnificent feat, Su Guanghua! The story of Mr. Su Guanghua,induces all the lawyers of Rayyin& Partners to deeply meditate: being elites of the country, what is our honor, what kind of bravery shall we possess, what kind of responsibilities shall we bear, and what kind of sacrifice shall we make for our country.